We have asked an online student who is planning to learn about business strategy and digital marketing to tell uns about her experience. 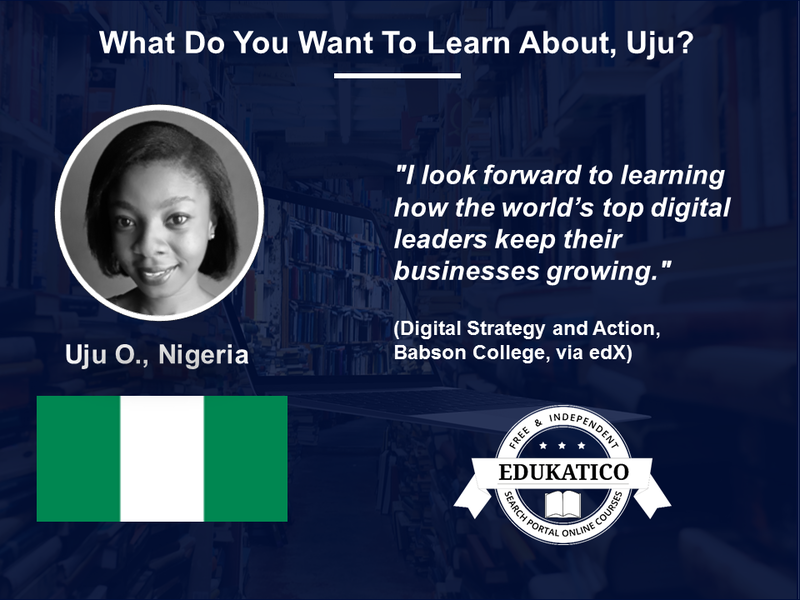 Uju O. from Nigeria has attended business online courses before. For example, she has participated in a course on entrepreneurship offered by the University of Pennsylvania via the Coursera platform. 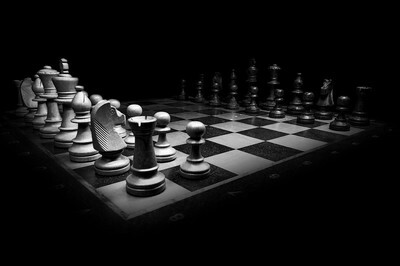 "Every entrepreneur needs a business strategy. This strategy should continually question the answers to the who, what, and how questions. Among other things, the success of a business depends on the flexibility of the entrepreneur and his or her ability to adjust strategy. I look forward to learning how the world’s top digital leaders keep their businesses growing, how to pick ideas with the greatest potential, and how to move closer to running a sustainable, competitive business." Furthermore, she is planning to take a course on Digital Marketing via Coursera. "The advent of digital technology has changed the marketing landscape for businesses, shifting the balance of power from firms to consumers. Any business willing to retain market share and expand must remain adaptable to this change. This requires knowledge of the digital marketing tools like smartphones, apps and the Internet play and how to leverage them. I find this course useful in understanding how these tools are utilized to achieve more consumer-centered branding, product promotion, distribution and price setting in our digital age." Uju also wants to acquire fundamental computer science skills with a MOOC from Harvard University. "Our world today is undergoing a digital transformation. Companies are increasingly seeking out new ways to handle tasks using more efficient and cost effective means. To do this requires automation of processes and acknowledging the role digitization plays today. As a financial service provider, a working knowledge of computer science positions me as an industry expert, and opens a window of opportunities to advertise and apply technical skills." Are you interested in online learning? Register for our newsletter here. And follow us on Facebook and Twitter!